Winegard FlatWave Amped: the killer of expensive cable television? Like to watch TV without those expensive monthly cable bills? Winegard has an inexpensive option to solve this problem with their FlatWave Amped HD antenna. For around $65 you can get a decent amount of over the air channels with no monthly bill as long as you live within a 50 mile radius of where the channel originates. The FlatWave was very easy to install. It took about ten minutes from unboxing to watching and Winegard includes some easy installation steps on the back of the box. 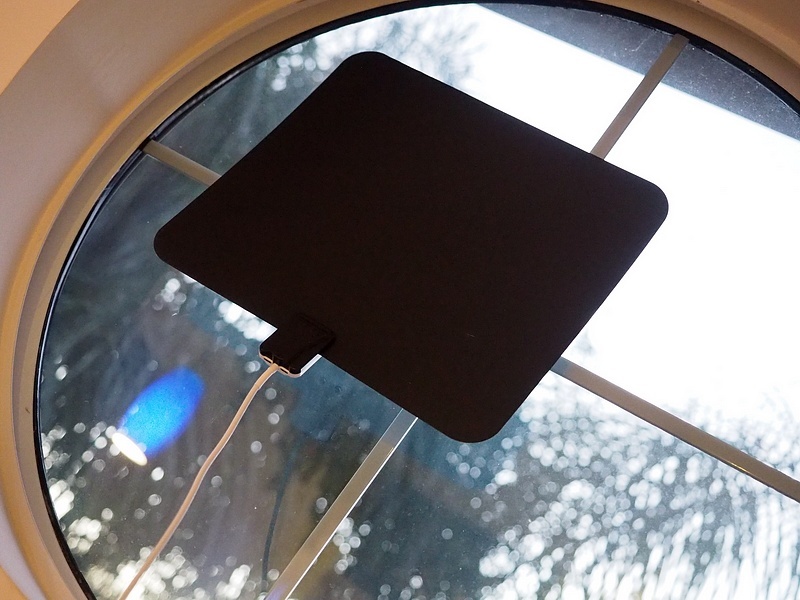 The FlatWave also comes with two 3M Command Brand Strips that make hanging this antenna on a wall or window a breeze. 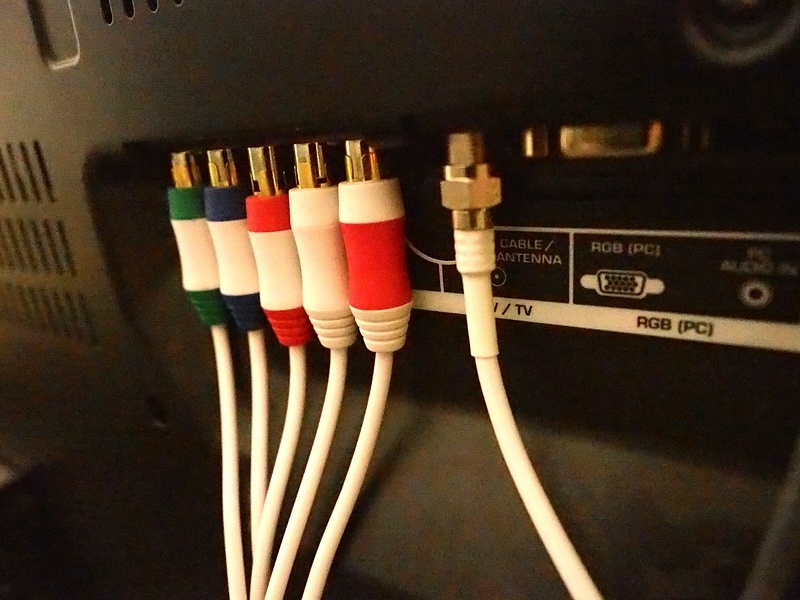 The antenna amplifier gets its power via a usb cable that can be plugged into your TV or into a provided wall adapter, this combined with plugging in FlatWave to the Antenna slot on your TV makes setup incredibly easy. The Flatwave is reversible and has two colors: black and white. They blend in fairly easily and if you don’t like how they look you can easily tuck it behind your TV screen. The FlatWave is also very portable and can easily be stuck on the bottom of a suitcase and taken on vacation. When watching TV with the FlatWave don’t expect to get any cable networks like ESPN, AMC, TBS, USA, or FX because it will only pick up channels that are broadcast over the air from towers. If you live in a relatively rural place you might get few channels, but if you live in a large city with many over the air TV stations you can expect to pick up dozens. Living in the suburbs of Tampa, I got around 20 channels and that suited me just fine for casual watching. The quality of the stations that came through the antenna were very good. Most of the stations like ABC, CBS, NBC, ION, and the CW came in without any hiccups or stutters. The Vizio TV identified them as 1080p and looked very sharp. There were a few channels that came over in standard quality but they were few and far in between with most of the channels being HD. Overall, Using the FlatWave was a great experience. It is a great convenience to have if you do not want to buy cable television or have a separate house or condo that you want TV at without paying monthly bills. The FlatWave would be a great addition to any room you don’t want to pay to put a cable box in or to replace your cable entirely. Combined with an online streaming service, all of your viewing desires might be covered with the FlatWave Amped. I never understood why we have to pay to view commercials. Cable started by making the promise one would avoid this, by PAYING a separate fee.